Long Story: Talk about trials and tribulations…. But I had done my research, knew the course map, and the pacers and what their paces were. All the pacers had marathon pace signs, so a 4:10 sign meant they would be running at the pace that would finish a marathon in 4hrs 10 min. 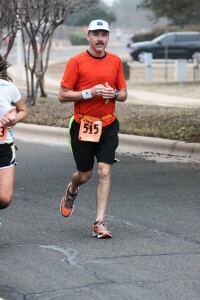 I was debating between the 3:55 or 4:10 (8:57 or 9:32 pace). The 4:25 (10:06 pace) was also an option. 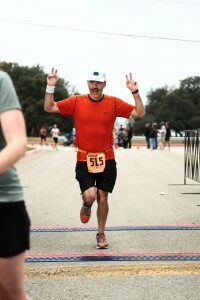 I knew I had finished the 3m half marathon with an 8:38 pace and I was only going 5.5 more miles. Since I wasn’t feeling the best I opted for the 4:10 pacer. This seemed to be working out fine for the first 10 or so miles – I kept up a steady 9:34 pace although there were some times I felt I was pushing a bit – definitely not running at my regular all-by-myself long distance run pace of around 10:30 ish but also running slower than at the 3M. Unfortunately around 10.5 miles the wheels started to fall off. 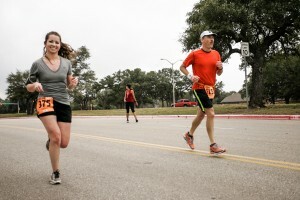 I had to let my pace group move ahead as I was starting to feel sore in all sorts of places. Over the next few miles my paces were dropping to 9:54, 10:12, 10:47, but I wasn’t even caring. I just wanted to finish the race… and was questioning if I could. My original plan was to run 18.6 then run over and hit the track for 5 laps and get in exactly 20 miles. Now I just wanted to make it. Forget my plans to try a full marathon in 3 weeks; I’m not even going to make 18. I’ll just have to switch to the half, no way I can do a full as I can’t even do this. My mile times kept dropping 11:12, 11:12, 11:28 and lots more people walking and my legs hurting and I’m trying not to cramp up by trying different strides and things and … then it happened. The 4:25 pace group came chugging thru and I heard the pacer calling out to his pace group “Come on, it’s only 2 miles, keep up now, don’t let yourself fall behind us”. This guy was a deity of some sort. I looked up at that 4:25 pace sign and noticed it said 10:00 min/mile on it. I can do that! I picked up the pace and stayed with them, saying to myself I’ve got to hold on. You know what, it felt good, way better than 11:28 felt; it was using the right muscles in the right way (insert story here about how form is usually better when running faster – and how mine had probably been falling apart). Can I keep this up… apparently I can. We kept going along and now instead of running alone I was in a group of about 10. That surely helped too. I was feeling strong. “Almost there, only 4 laps around a track left!” he called. It felt really good. “Two laps around a track to go”. I passed them up and started pulling ahead. “I got this – and I got the 20 miles”, I thought. 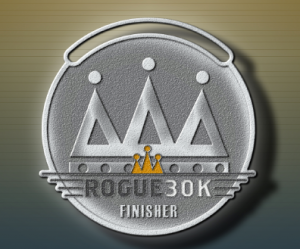 I rounded the next turn and saw the finish line and sped up even more. I kept pushing and cruised thru the finish line but got stopped by someone who gave me a medal, then I kept running… ran to the track, did my 5 laps and finished off an easy 20 mile run. Or not…. My last 3 splits were roughly 11:19, 10:19, and 9:27 with a final time of 3:08:16 for an overall pace of 10:05. Also set a distance PR as 20 miles is my new longest run, up from 16.5. It’s amazing how much of what we do is mind over matter. This was a great run for me, and if you read this, thanks for letting me share it with you. As you say, mind over matter is a real happen’ thing!